Britain's Prince William, left, lays a wreath during a memorial ceremony at the Yad Vashem Holocaust Memorial, in Jerusalem, Tuesday, June 26, 2018. Prince William began his visit to Israel on Tuesday with an emotional visit to Jerusalem's Yad Vashem Holocaust memorial and a meeting with two survivors who escaped Nazi Germany for the safety of Britain. 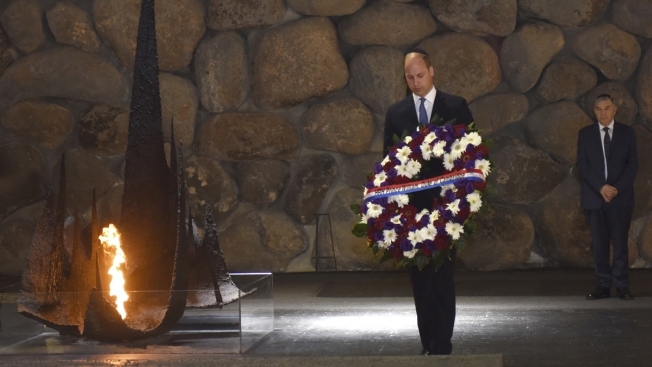 Yad Vashem Chairman Avner Shalev, who guided the Duke of Cambridge through the museum's exhibitions detailing Nazi Germany's genocide of 6 million Jews during World War II, said the prince was visibly moved as he stopped to inquire about various elements of the Holocaust. "The theme that repeated itself throughout the entire visit was his wondering of what kind of deep hatred could have driven people to commit such horrific acts," Shalev told The Associated Press. "He kept saying: 'How did they get to such a place?' ... He really identified with the victims." "I'm very grateful to Britain because it saved my life, it's as simple as that," said Foner, 86. "It was as if he knew us, he knew the background and he made us feel so at home. It's as if you had met a friend you hadn't seen in a while." In signing the Yad Vashem guestbook, the prince called it a "profoundly moving experience" and said the Holocaust was "almost impossible to comprehend." Three decades of British rule between the two world wars helped establish some of the fault lines of today's Israeli-Palestinian conflict, and Britain's withdrawal in 1948 led to the eventual establishment of Israel and Jordan, where he kicked off the five-day Mideast tour on Sunday. After Yad Vashem he met with Prime Minister Benjamin Netanyahu and his wife Sara, accompanied by descendants of the Cohen family Princess Alice had saved. Later, President Reuven Rivlin told the prince about his childhood in Jerusalem living under the British mandate and asked him to deliver a "message of peace" to Palestinian President Mahmoud Abbas, whom he will meet later in the week. "I'm really looking forward to getting to meet as many Israelis as possible and understand Israeli history and Israeli culture," the prince said. 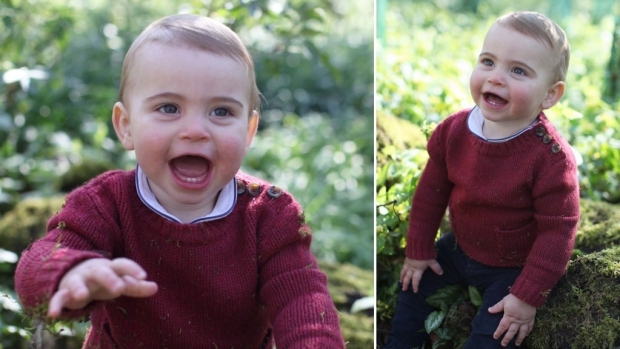 "I'm very much looking forward to really absorbing and understanding the different issues." The prince wraps up the busy day with a reception held by the British ambassador that will include demonstrations by Israeli tech startups.